Oak wilt and Fredericksburg TX Real Estate, what you need to know when your looking at ranches for sale in Gillespie County, or any home or land for sale in the Texas Hill Country. Oak wilt or Oak decline is a fungus called (Ceratocystis fagacearum) This is the major disease threat to live and red oak trees in our area. The disease shows up in red oaks (Texas, Schumard, Blackjack) by a healthy tree showing fall-like coloring in late spring or early fall and dying. The live oak, which is what you really see it affect most noticeably in Fredericksburg and Gillespie county, usually dies slower (2 months to two years after showing initial symptoms). Once symptoms are evident there is very little to nothing one can do to save the tree. When you are looking at land and ranches for sale you should watch for the characteristic veinal necrosis on leaves of infected live oaks. This is the area on the veins which shows red, brown, or yellow and the area is between is green. The common saying is, Oak wilt is easy to prevent and difficult to treat. Oak wilt travels through the interconnected roots of live oaks at roughly 100 feet per year. If there are large breaks of open ground between trees this will act as a natural barrier between root systems. If there is not a large natural break then,you may have to trench a break in the roots around the infected trees. Trenching is disruptive, expensive, and difficult but is the only know method of stopping the spread. Individual trees can be protected with the chemical called “Alamo “ which is injected in to the tree but it is also expensive (approximately $30 per inch of diameter). It can protect the tree from infection but does not stop the spread of the disease or cure the infected tree. One myth about oak wilt is that the wood can not be used as firewood. Smoke from infected wood burning is NOT a threat! The fungus is destroyed by heat and will not even survive in dry firewood. However firewood from oaks can rarely be a source of the oak wilt infection. Wood from infected trees should not be stored under or near healthy tress. Only wood that has been cured for an entire summer should be stored in the vicinity of uninfected red or live oaks. If you bought oak firewood for this winter and are unsure of its age or origins, do not stack it in the vicinity of healthy trees. The other common question is about tree care. You can helps prevent the diseases spread by painting all wounds on live oaks and red oaks. Keep a spray can of pruning paint and immediately paint any wound on your trees. Pruning, weed-eater and machinery cuts on the trunk and exposed roots are especially susceptible to infection. The insect that is known to transmit,the oak wilt fungus is a sap-feeding beetle, known as the Nitidulid beetle. Nitidulids are the size of a pinhead and can fly for a distance of one mile. These beetles feed on the sap draining from fresh wounds and can spread the fungus from an infected tree to a healthy tree if these cuts are not painted. Another important tip, even though it has not had a lot of scientific testing but has had a lot of real world field testing in our area is the use of bleach water. If you are cutting or trimming trees that you are not sure have the disease it is wise to have a 5 gallon bucket of beach water handy. Every time you move on to a new tree dip the blade of the chain saw or pruning shears into the bleach water and wait a few minutes before moving to the next tree. Many of the ranchers out here swear by this method as a way to kill any of the fungus on the saw blade before cutting on a healthy tree. This is a little hard on you blades but is sure better than losing a tree. Oak wilt is found in all 50 states but is more of a problem in some areas than others. Here is a map showing the hardest hit areas from the US forest service. I hope this helps answer some of the most frequently asked questions and if you are ever in the Real Estate market around the Fredericksburg Texas area I hope I can help you find that perfect property. I cover all of Gillespie county and the Texas Hill country and can help you find the land or ranches for sale that your looking for. 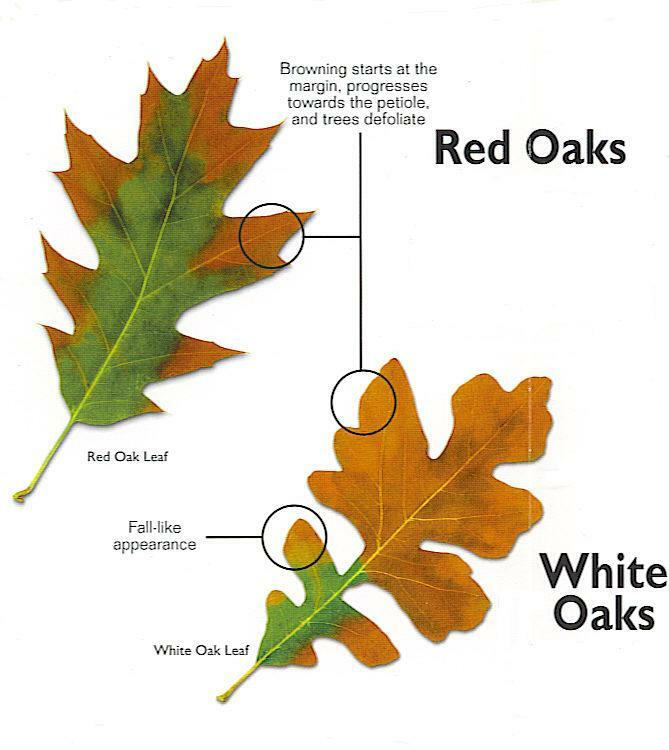 Information provided is from the Texas forest service and TAMU and is for reference only, if you have concerns about oak wilt you should contact a professional horticulturist for additional information.